Can dogs take ibuprofen? Let’s not bury the lede here, folks. There are no circumstances under which it’s a good idea to give human medications to your dog. The only exception is if you have explicit instructions, including appropriate dosages, from a veterinarian who has examined the dog and taken into consideration the dog’s weight, age and condition. Where painkillers like ibuprofen are concerned, there is a razor-thin margin between what may give them pain relief and what will cause worse, unrelated health issues. But … what if your dog ate ibuprofen? According to the ASPCA, most calls about dogs and ibuprofen to their Animal Poison Control Center hotline were the result of panic (“Help! My dog ate ibuprofen.”). 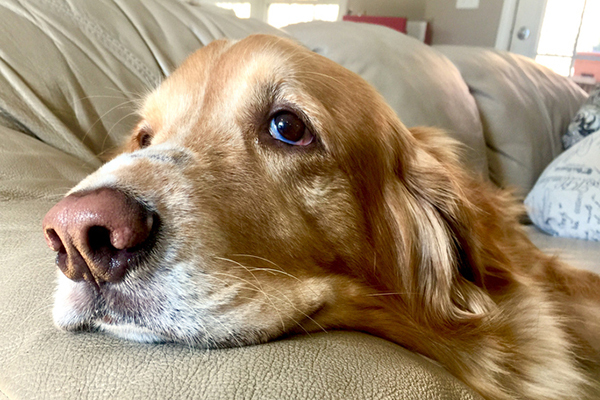 While there are, naturally, dog owners who extend their own comfort level with OTC pain relievers to their dogs, for the most part, reported cases of acute ibuprofen toxicity are the result of canine curiosity and indiscriminate appetite. So, if your dog ate ibuprofen, what’s happening inside his body? Dog metabolism is both different and faster than that of humans. NSAIDs are fast-acting pain relief medications; combine that with a much narrower margin of safety for dogs than humans, and the consequences make more sense. One reason why ibuprofen specifically is dangerous to dogs, particularly Advil, is the sweetened outer coating. Unlike cats, dogs can experience the taste of sweetness, making them more appealing in greater quantities. The more pain pills a dog ingests, whether they are offered by the owner or eaten accidentally, the more dire the consequences. Calling a veterinarian or getting the dog to an emergency pet hospital as quickly as possible can make all the difference to how bad the symptoms become and the length of recovery if your dog ate ibuprofen. The treatment options if a dog ate ibuprofen can be as relatively simple as a stomach pump or as involved as surgery to repair a perforated stomach. Melvin Peña trained as a scholar and teacher of 18th-century British literature before turning his research and writing skills to puppies and kittens. He enjoys making art, hiking, and concert-going, as well as dazzling crowds with operatic karaoke performances. He has a two-year-old female Bluetick Coonhound mix named Baby, and his online life is conveniently encapsulated here.